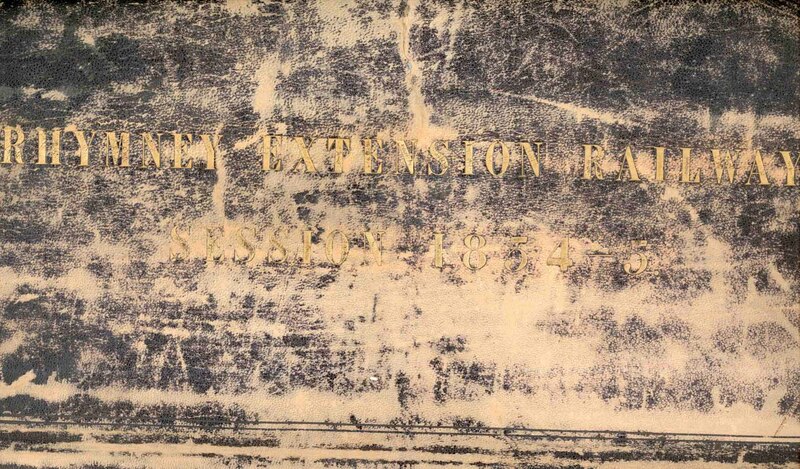 Plans submitted in Parliamentary session 1854 - 1855, and all wrapped up in this very worn and fragile cover. The PDF on the right at the bottom contains all the paperwork and maps etc at medium resolution. The other attached documents above it are all the individual plans/diagrams at high resolution. These are very large stitched JPEG compressed panoramas (although when opened up they are mostly over 100MB and the one for Cardiff Docks is over 200MB! ), you may need to save them to another file before trying to open them.